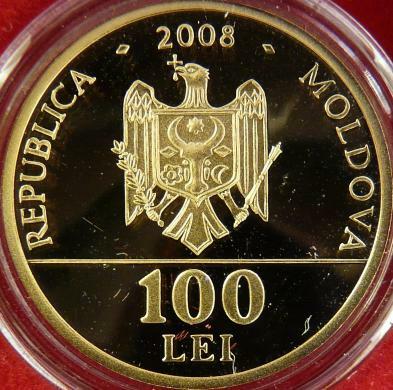 year 2008, circular inscription REPUBLICA MOLDOVA meaning "REPUBLIC OF MOLDAVIA" and the coat of arms of the Republic of Moldavia, in exergue denomination "100 LEI"
In the Republic of Moldavia year 2008 was declared "Cantemir Year". 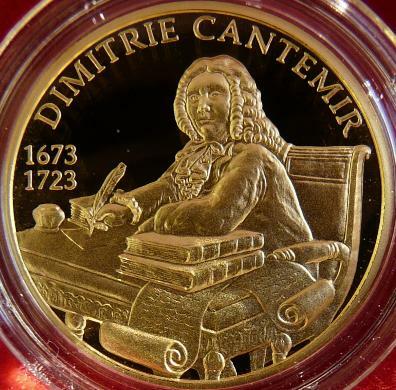 On this occasion two anniversary coins were issued, a silver one dedicated to the poet Antioh Cantemir, and a gold one dedicated to prince Dimitrie Cantemir. 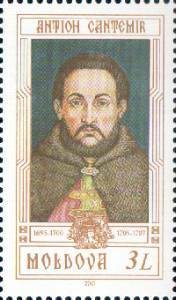 Dimitrie Cantemir also appears on the 50 lei silver from 2003 and on a coin set issued by the National Bank of Romania: 1 leu, 5 lei and 100 lei 2007. 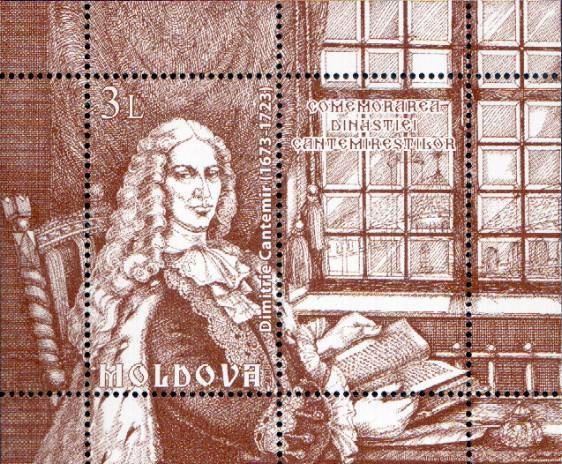 Republic of Moldova issued stamps with all three rulers from the Cantemir dynasty, and also with poet Antioh Cantemir. 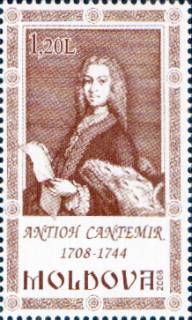 Another two members of Cantemir family are mentioned in the chronicle of chronicler Ion Neculce: two sons of voivod Antioh Cantemir, Dimitrie and Constantin. 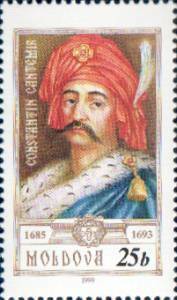 In 1739 the two brothers participated as officers of the Russian army into the Moldavian campain. The Russians came "... with Constantin Cantemir and with Dumitraşco Cantemir, sons of Antioh-voivod, being there to the Muscovites among foreigners". Dimitrie was major and Dimitrie was brigadier.